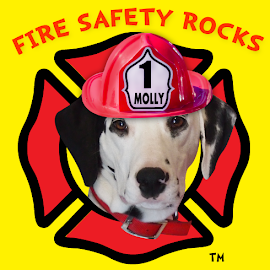 Fire Safety Rocks: Thanks to Teachers Pets for Helping Spread the Fire Safety Message! 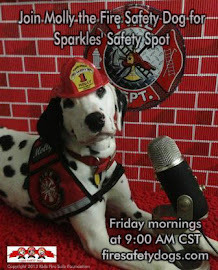 Thanks to Teachers Pets for Helping Spread the Fire Safety Message! 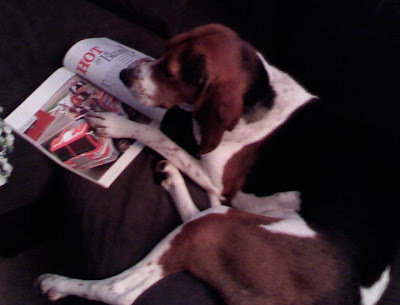 Thank you to Daisy and her mom, April, for the pawsome picture! Daisy, I have to tell you that you have a really cool name! 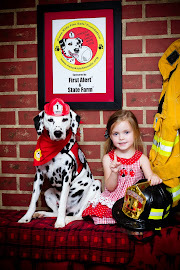 When Firefighter Dayna adopted me, my name was "Daisy." I love that name and am so excited to have you as a friend! 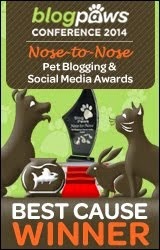 You mom has the coolest blog ("The Teachers Pets"). Boy, Daisy, do you and your mom April ever have a ton of cool friends! 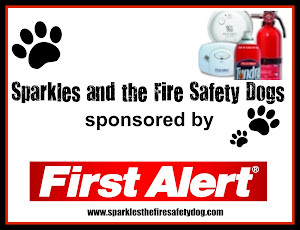 I really appreciate you sharing the word about my fire safety give-away on your blog. You rock! Can't wait to see your pictures! 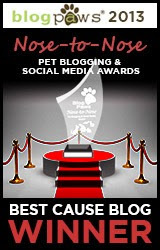 Click HERE to learn more about how to submit your photo!